We may have had a slow start to winter here in Mississippi Mills, but the snowfall on December 29, 2015 provided plenty of accumulation to start sleigh riding. Come experience the most relaxing way to enjoy winter. A team of horses, under the direction of owner Arlee Sheets, will take you on a meandering tour of the expansive Rock-N-Horse Farm property. 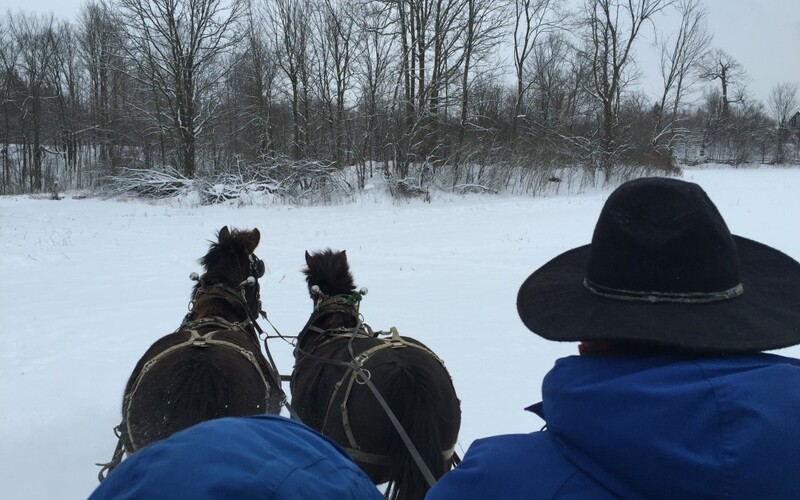 Our sleigh rides provide the perfect opportunity to reconnect with nature and admire the beauty of our winter wonderland. Not to mention there is nothing like the sound of crisp, fresh snow crunching under horses’ hooves.